Hiring the right employee is a critical to the success of any organization. 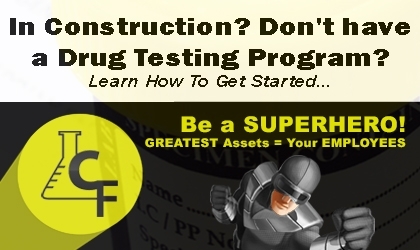 Drug and Alcohol Screening alone doesn’t guarantee your candidate has the qualifications you are looking for. To help ensure candidates have the credentials and background you require, it takes a systematic approach to dig out the details and verify the history. If you are a motor carrier, the DOT has very specific hiring procedure requirements that must be documented and made available for audit. Failure to get the background information in a non regulated organization can lead to costly hiring mistakes. Failure for a motor carrier to get the background information can put your entire company at risk. With the help of our sister company Glostone Trucking Solutions, we can customize a solution that will ensure you get the timely background information you need to make an informed choice. For motor carriers, you can rest assured that the required paperwork is completed, documented and in full compliance with DOT regulations. Get started today on the road to hiring excellence and compliance! In a 1990 survey of U.S. Navy personnel by Paul Mulloy in the Drug-Free Workplace Report, 83% indicated that drug testing was the main deterrent to drug use and 27% said they would resume using drugs if the Navy discontinued its drug testing program.